Add Adian McGivern to the list of people who have done ITV Yorkshire weather this year, having just done it today. I know we don't do rota talk, but when it comes to ITV weather the doesn't seem to be any pattern what so ever. I realise that the weather on BBC Two after Newsnight continues to use the incorrect BBC Two logo. Do they even know this or is that the logo that they would’ve been asked to use? Ladies and gentleman. TV Forum has hit the bigtime. Viewers have taken to online forums to ask what has happened to the popular presenter. One wrote:'Any ideas where Sian Lloyd has vanished to? 'She hasn't been on ITV for around six months now but is still very active on her weathergirl website. 'Perhaps long term sabbatical? Or has she left ITV altogether? Congratulations. Now, if you work for the Daily Mail and are reading this: your newspaper is awful. Typical Daily Mail, both parties say age has nothing to do with it, but the article mentions the possibility so many times, that the reader comes away with the view that age was the reason, and no doubt this will be the line which is then retold in all the other papers when they report on this story. In any case, shame she's left, you always took notice when Sian did the weather, "so do be warned about that" and she'd been there forever even though she was hardly ever on. Sad news about Sian's quiet and strange exit from ITV. 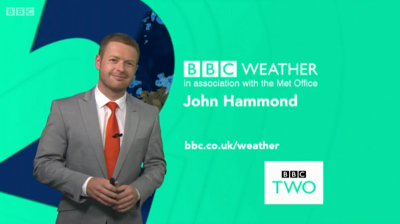 If I was to hazard a guess, from her Huffington Post blog, I'd suggest a certain new-ish ITV weather presenter is the reason for her departure. And no, I am not a Daily Mail journalist. But kind of chuffed to be quoted in the DM. Thank god Becky Mantin is still there, there is one presenter, fairly new who I can't stick at all! No it's definitely not becky. They have a good rapport, based on previous twitter posts. I reckon it's a newer itv presenter. I can see the daily mail headline.. Hurricane lucy slams into hurricane sian with devestating consequences. I like lucy.. She's a proper trained meteorologist and definitely knows her weather. I just have a hunch she clashed with sian. Are you thinking of Amanda Houston?